Quillarumiyoc (Killarumiyoc) was a site of adoration to the Moon, this was one of the most important deities for the Incas, was known like “mother quilla”, mother of the firmament and representation of the feminine side of the universe, influenced on the tides, in The growth of plants, fertilization, among others. In the Quechua language, “keel” means moon, and “rumiyoc” means the one who has stone; Therefore, Quillarumiyoc means “a stone that has a moon“. 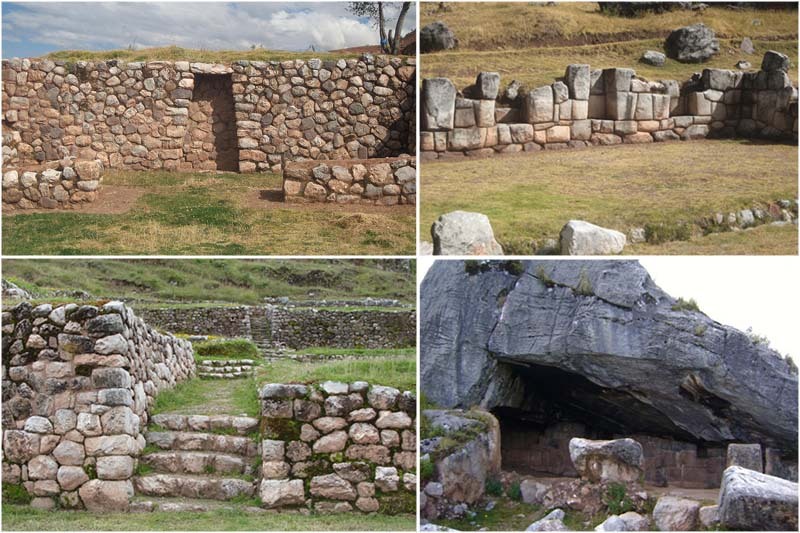 The site consists of a huge area of terraces built in the same style as Sacsayhuaman, Chinchero or Ollantaytambo. Quillarumiyoc covers 5,000 m2; But several years ago, much of this was buried by an avalanche. In it you can see terraces, symbols engraved on the largest rocks, and an ancient temple dedicated to keel (the moon), the female divinity. The ravine in which it is, the great rocks that form it and the drawings engraved in them, transported it hundreds of years ago. A mystical environment surrounds the complex in this place, the Incas constructed lunar calendars and temples dedicated to this deity, and apparently they preferred distant places in which the nature was exuberant. The origins of Quillarumiyoc are situated more than three thousand years ago. At the present time the complex has been conditioned with marked trails, which favor the tour. 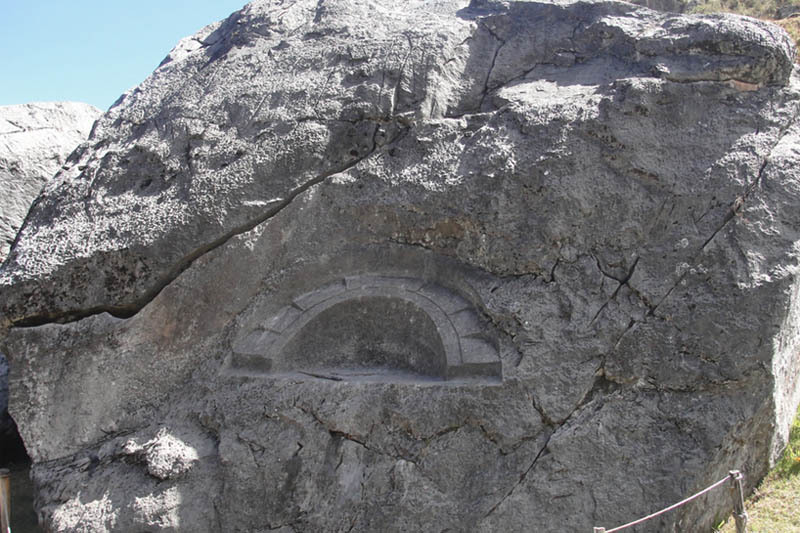 Quillarumiyoc presents a moon carved in bas-relief on a large rock of marine origin of 1.90 m by 1.56 m. The Inca architects carved this moon in a semicircle with the ridge of 0.42 m. With an inner base with a diameter of 0.85 m. This semicircle has the shape of a carved half moon, with 7 platforms 0.3 cm wide. Seeing this natural rock from a distance, it gives the impression of being the profile of a puma, where the carved crescent represents the eye of the feline. For more information about this, or other places in Cusco, contact us at info@boletomachupicchu.com. What to see in Quillarumiyoc? It is the highest mountain of the place, reason why it is considered an Apu (spirit of the mountain) has a height of 4,850 m. And is part of most religious ceremonies of the locals. On its slopes you can find a number of tombs, some intact and others not, besides in the surroundings there are many kanchas to keep pastures and others like corrals for camelids. Named after the contemporary locals, the true name of this archaeological site is ignored. It is located in the upper part towards the west side of the valley of Quillarumiyoc; This natural rock formation was used by the Inca architects to construct a waca consisting of a limestone rock 6 m high by 5 m base, in whose central part the Incas carved a small enclosure of 2.50 m high by 3 of width and 4 of length, in whose interior carved a wall of fine finish. This square is to the north of the waca of Quillarumiyoc and it is a rectangular plain, in the center of which rises a rocky carved limestone. The square occupies a part of the system of platforms constructed of limestone, finely carved and polished. In this place the high level of construction of the ancient Andean inhabitants is observed. Qorihuayrachina in Spanish means, “where the wind is subjected to gold”, is a cultural manifestation of pre-Hispanic origin, which shows a huge circular space surrounded by a wall of 1.70 m high, architectural style pirca (with clay mortar ), The urban part shows us places, among which you can see spaces used for housing, as well as spaces dedicated to religious worship. This waca of rectangular form did not have door of entrance, was cross country like other buildings of the Inca civilization. It has three walls and the room is open, serving as access; Built in the east direction, so it was deduced that it had a ceremonial and religious function, in which the winter solstice was celebrated (important agricultural event in the Inca civilization).